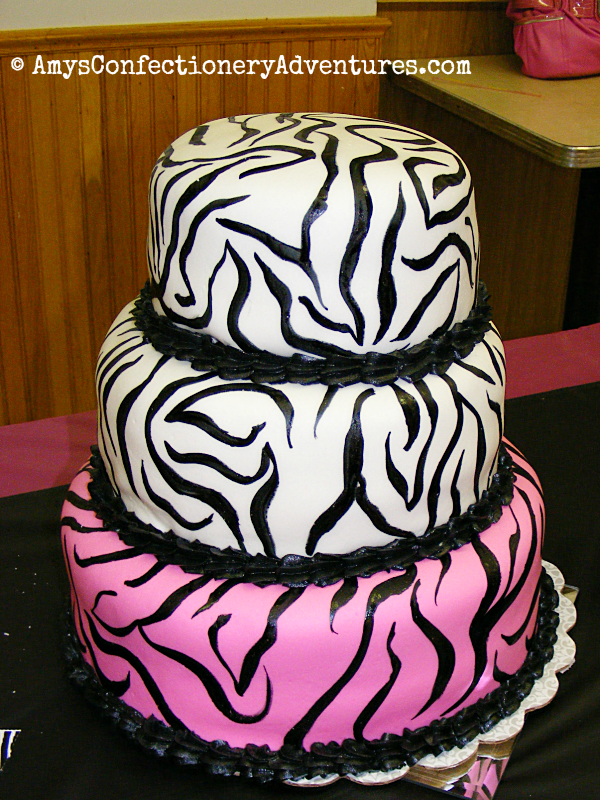 Amy's Confectionery Adventures: Hot Pink & Zebra! 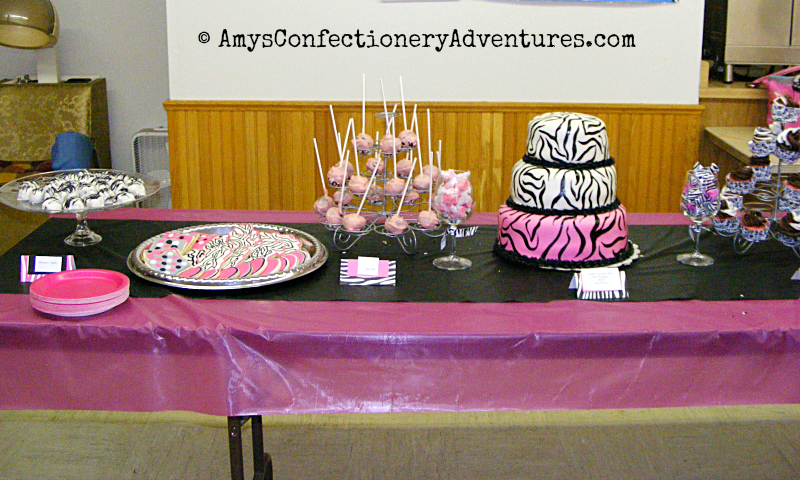 The cake was the centerpiece of a dessert table featuring Strawberry Cream Fudge, Champagne Truffles, cake pops (my arch nemesis) , jell-o shots (woot! 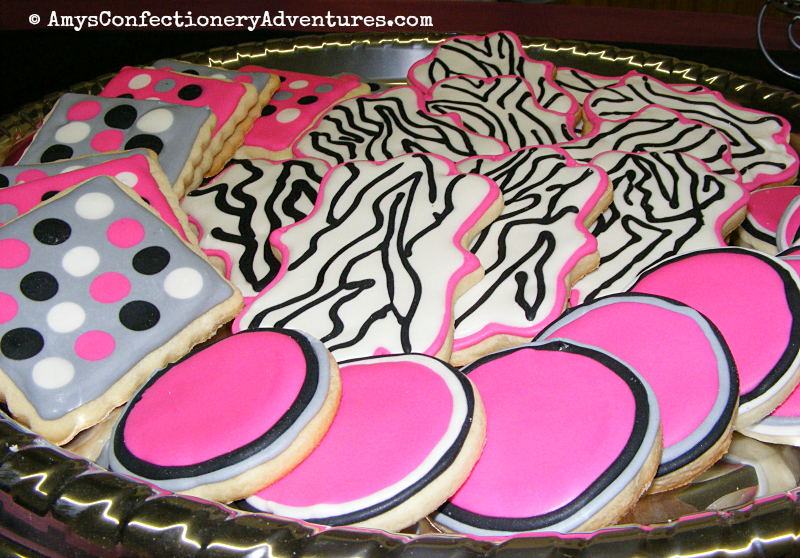 ), cupcakes, and (of course) some fantastic cookies!